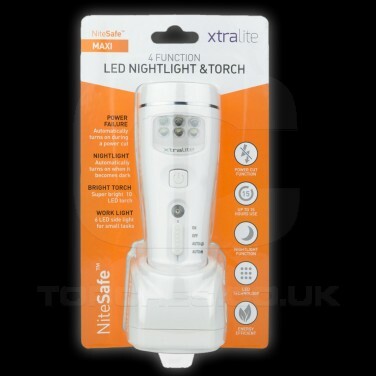 A practical four function torch that's ideal for use in homes, garages and workshops, the Nite Safe Maxi is a light sensor plug in nightlight that senses a power failure and so automatically switches on to give you emergency light. 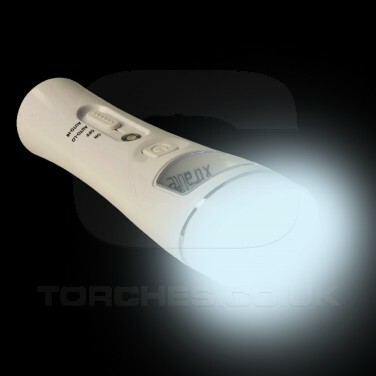 Take the freestanding torch from its charging cradle and it becomes a superbright ten LED torch, and it also has six powerful white LEDs on the side for more focused work tasks. 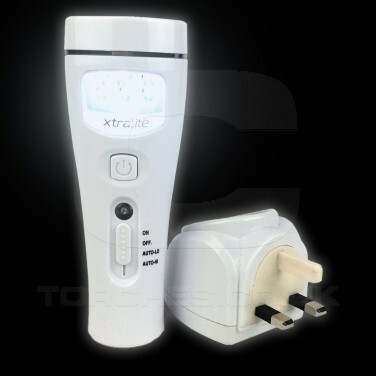 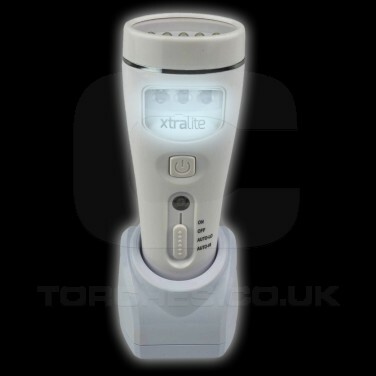 With up to fifteen hours of use from one charge this handy night light and torch is the ultimate all rounder!